Increasing food imports is related to decreasing domestic food production but it can bring enormous benefits of water and land savings in the Arab World. 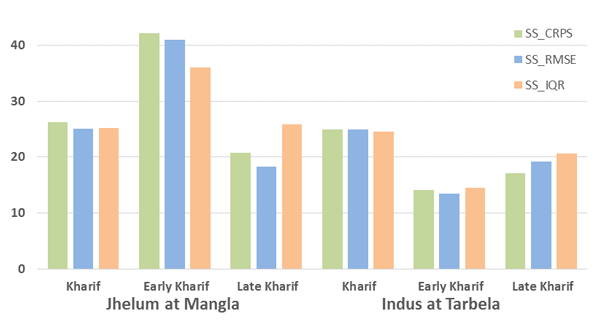 This study analyzed the trade-offs between food security on water-land savings in the Arab World through food trade and virtual water, which indicates the water used for producing crops. In addition, we revealed that the Arab World has recently increased the volume of virtual water imported with little attention to the expansion of connections. Virtual water trade (VWT) embedded in crop trade is an important component of water management. Vulnerable importers in VWT were classified through connectivity and volume of VWT using degree centrality of a VWT network. Influential traders on entire VWT were classified through eigenvector centrality of a VWT network. Complex water management activities challenge hydrologic modeling. We evaluated how different representations of reservoir operation and agricultural irrigation affect streamflow simulations in the Yakima River basin. 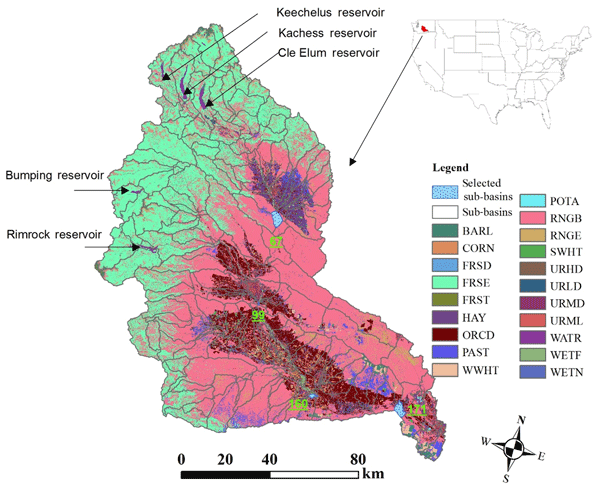 Results highlight the importance of the inclusion of reliable reservoir and irrigation information in watershed models for improving watershed hydrology modeling. Models used here are public and hold the promise to benefit water assessment and management in other basins. 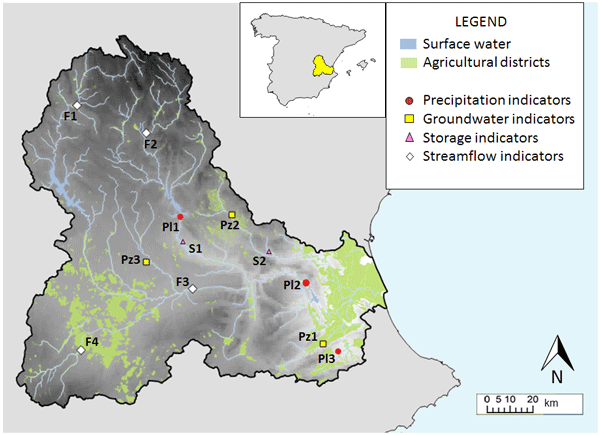 Do users benefit from additional information in support of operational drought management decisions in the Ebro basin? In this paper we follow a user-based approach to examine operational drought management decisions and how the role of information on them can be assessed. 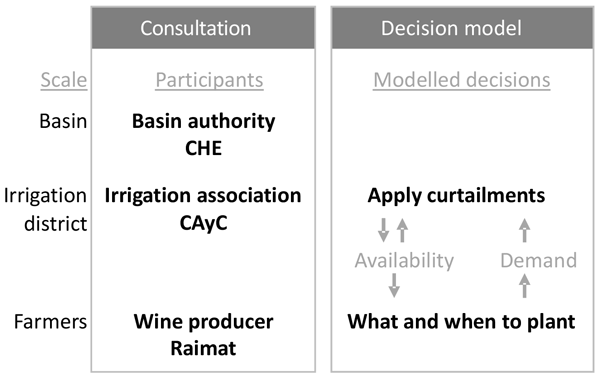 The approach combines a stakeholder consultation and a decision model representing the interrelated decisions of the irrigation association and farmers. The decision model was extended to include information on snow cover from satellite. This contributed to better decisions in the simulation and ultimately higher benefits for the farmers. Phosphorus (P) is important to global food security. Thus it is concerning that natural P reserves are predicted to deplete within the century. Here we explore the potential of P recovery from wastewater (WW) at global scale. We identify high production and demand sites to determine optimal market prices and trade flows. We show that 20 % of the agricultural demand can be met, yet only 4 % can be met economically. Nonetheless, this recovery stimulates circular economic development in WW treatment. Significant evaporative losses from local water reservoirs in arid regions exacerbate water shortages during dry spells. 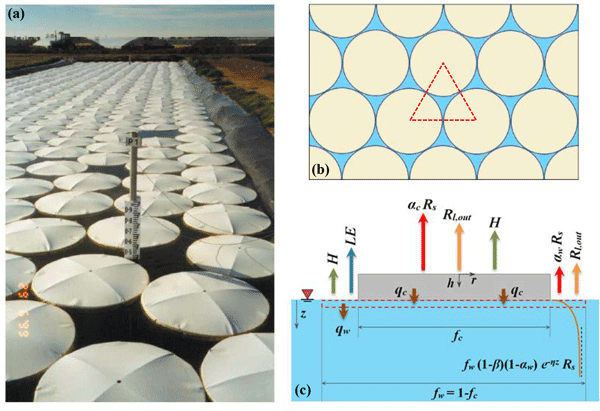 We propose a systematic approach for modeling energy balance and fluxes from covered water bodies using self-assembling floating elements, considering cover properties and local conditions. The study will provide a scientific and generalized basis for designing and implementing this important water conservation strategy to assist with its adaptation in various arid regions. The paper proposed an approach to develop a decision support tool to evaluate impacts of land use change and best management practices (BMPs) on water quantity and quality for large ungauged watersheds. It was developed based on statistical equations derived from Soil and Water Assessment Tool (SWAT) simulations in a small experimental watershed. The decision support tool reproduced annual stream discharge and sediment and nutrient loadings for another watershed fairly well. Many glacial lakes in the Himalayas are held in place by natural sediment dams, which are prone to collapse, causing a glacial lake outburst flood (GLOF). 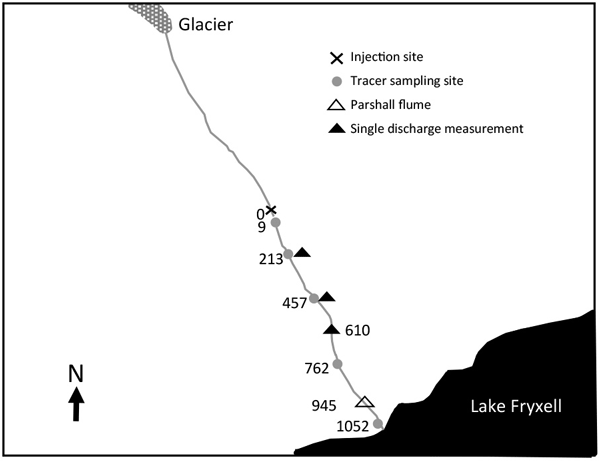 This study models a GLOF as a process chain, in which an avalanche enters the lake, creates a large wave that erodes the sediment dam, and produces a flood downstream. Results indicate that Imja Tsho presents little hazard for the next 30 years, but the model is replicable and should be used at other lakes that may present greater hazard. Predictions of irrigation-season water availability are important for water-limited Pakistan. We assess a Bayesian joint probability approach, using flow and climate indices as predictors, to produce streamflow forecasts for inflow to Pakistan's two largest dams. The approach produces skilful and reliable forecasts. As it is simple and quick to apply, it can be used to provide probabilistic seasonal streamflow forecasts that can inform Pakistan's water management. 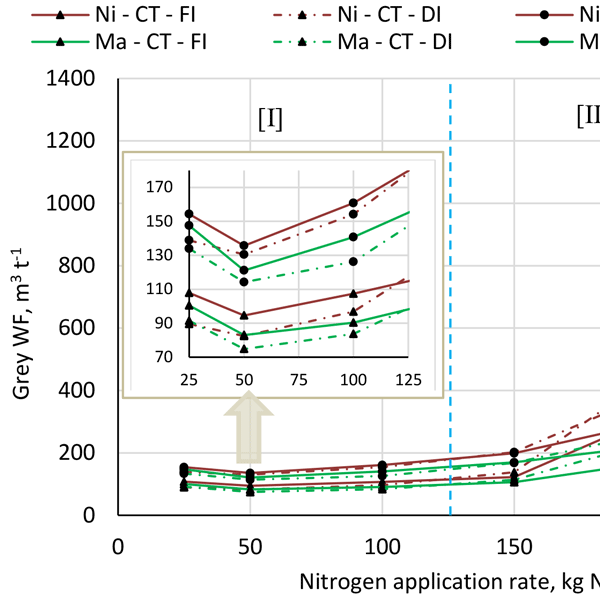 This paper provides the first detailed and comprehensive study regarding the potential for reducing the grey WF of crop production by changing management practice such as the nitrogen application rate, nitrogen form (inorganic N or manure N), tillage practice and irrigation strategy. The paper shows that although water pollution (grey WF) can be reduced dramatically, this comes together with a great yield reduction. 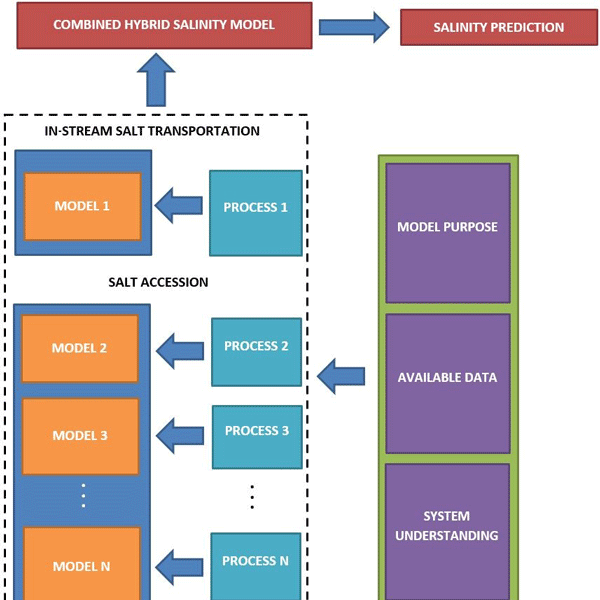 This research proposes a generalised hybrid model development framework and applies it to a case study of salinity prediction in a reach of the Murray River. The hybrid model combines five sub-models which describe one process of salt entry each and are developed based on the amount of system knowledge and data that are available to support each individual process. The model demonstrates increased performance over two benchmark models and has implications for future model development processes. The National Water Economy Database is a new data resource to better understand the human economy's water use impact on the hydrosphere. NWED quantifies and maps a spatially detailed and economically complete blue water footprint for the United States, utilizing several datasets: US Geological Survey, the US Department of Agriculture, the US Energy Information Administration, the US Department of Transportation, the US Department of Energy, and the US Bureau of Labor Statistics. Hydropower makes up nearly half of Sweden's electrical energy production. Careful reservoir management is required for optimal production throughout the year and accurate seasonal forecasts are essential for this. 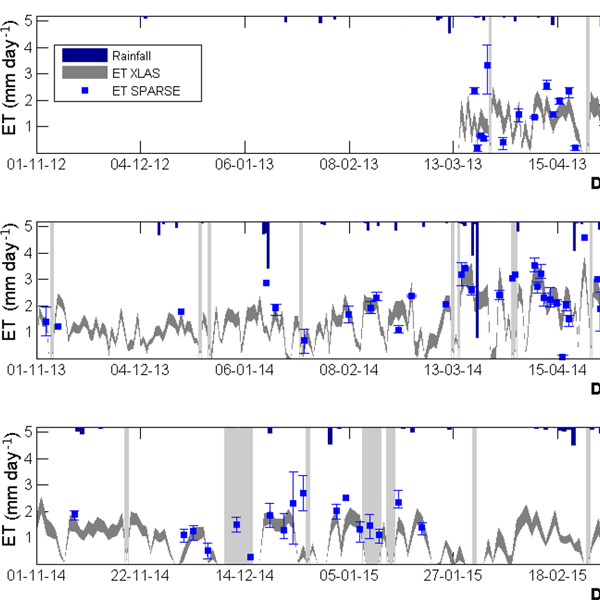 In this work we develop a seasonal forecast prototype and evaluate its ability to predict spring flood volumes, a critical variable, in northern Sweden. We show that the prototype is better than the operational system on average 65 % of the time and reduces the volume error by ~ 6 %. The Magdalena River basin has great hydropower potential. A number of large dams are proposed in the upstream reaches of the two largest rivers that converge in the lowland floodplains. While these dams are expected to more than double national electricity production, the implications for the wetlands and the people that depend on them are highly uncertain. Our assessment of these implications provides insights to guide basin-level infrastructure development and ecosystem conservation projects. 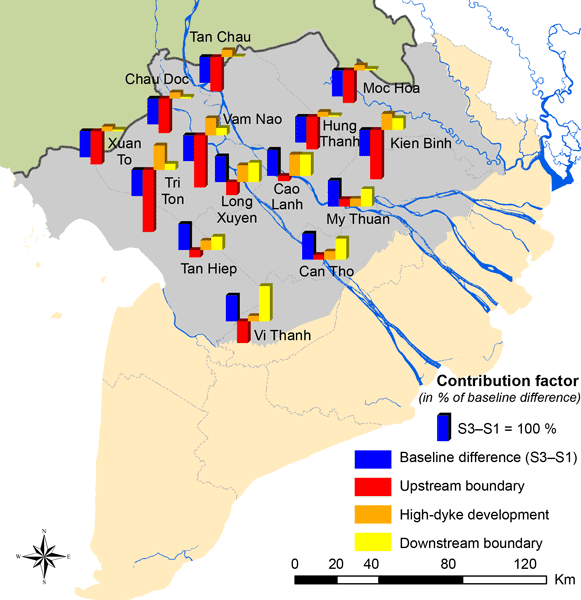 This paper reviews a relevant social science that links cultural factors to environmental decision-making and assesses how to better incorporate its insights to enhance sociohydrological (SH) models and the knowledge gaps that remain to be filled. The paper concludes with a discussion of challenges and opportunities in terms of generalization of SH models and the use of available data to facilitate future prediction and allow model transfer to ungauged basins. Agrivoltaism is the association of agricultural and photovoltaic energy production on the same land area, coping with the increasing pressure on land use and water resources while delivering clean and renewable energy. This paper shows how to operate the tilting-angle solar panels tested above the cultivated plots to remedy the often unexplored rain redistribution issues, by which large parts of the plot are sheltered, whereas concentrated fluxes are redirected on a few locations. Polish Institute of Meteorology and Water Management – State Research Institute (IMGW-PIB) has been conducting research on the use of river absorption capacity (RAC) for 5 years. The research focuses on combining mathematical modelling with traditional RAC calculations. For this purpose, the Macromodel DNS (discharge–nutrient–sea) was developed in the IMGW-PIB, along with the Soil Water Assessment Tool (SWAT). The study was conducted on a selected fragment of one of the largest rivers in Poland. We provide a detailed spatial analysis of hydrological impacts of land use change in Amazonia, focusing on the aspect of aerial rivers . Our approach of observation-based atmospheric moisture tracking allows us to recognize potential teleconnection between source and sink regions of atmospheric moisture. 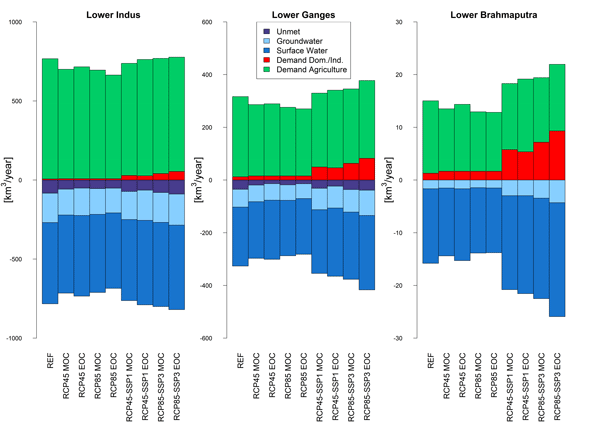 Relying on a quantitative assessment, we identified regions where water availability is most sensitive to land use change and regions where land use change is critical for a given sink region. There are very few studies found globally where the impact of hydropower on drought issues has been addressed. Furthermore, recent development of hydropower and its impact on streamflow on the downstream is still not explored. This study tries to address the associated impact of hydropower on streamflow drought which may directly affect the irrigation, water, and energy production. The developed method helps the decision makers to identify the potential impact of hydropower on downstream users. The study proposes advancing local-level seasonal rainfall predictions by first conditioning on regional-level predictions, as defined through cluster analysis. This statistical approach is applied to western Ethiopia, where lives and livelihoods are vulnerable to its high spatial–temporal rainfall variability, particularly given the high reliance on rain-fed agriculture. The statistical model improves in skills versus the non-clustered case or dynamical models for some critical regions. Sustainable water management needs to account for the ways humans benefit from the environment while also incorporating the impact of human actions on the natural system. 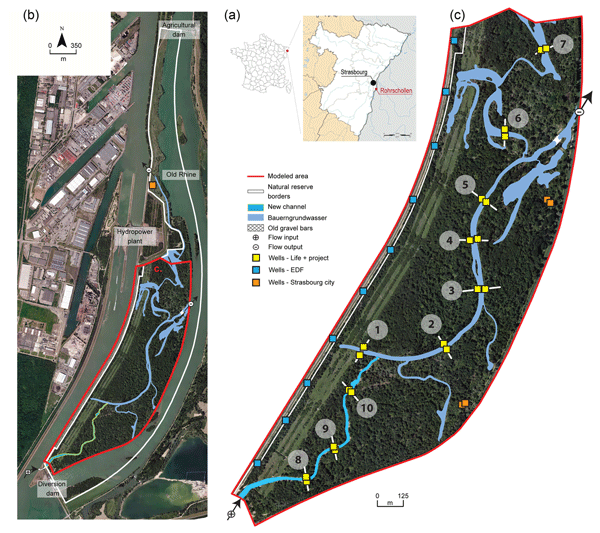 In this study we present a generalized modeling framework to simulate the reciprocal impacts of human decisions on water availability, food and energy production, and environment in two transboundary river basins. The framework allows users to observe how individual water use decisions affect others across the entire system. A system-level theoretical approach is developed which utilizes OpenMI methods to study the collective impacts of groundwater depletion in one of the world's most important regions for agricultural production (the congressional district with the highest historical cash value in the USA). Water policy is analyzed to forecast groundwater depletion across changes in human activity and climate, and the economic and societal impacts are provided to inform public policy and management. This work provides forecasts of water supply for the semi-arid Elqui River Valley, Chile, at periods prior to the October–January growing season. Forecasts are constructed provide water rights holders, whose allocations are subject to annual change, with an advanced indication of expected allocations. Forecasts, based on global and local indicators, are best suited to provide an initial indication of allocation category (above, near, or below normal) in May and are quantified in September. The paper contributes a comparative analysis of the operational value of different forecast products for the agricultural sector. The underlying idea is that forecast accuracy per se might not be the most effective indicator of the goodness of a forecast but the behaviour of the farmers using the forecast should somehow also be taken into consideration and, correspondingly, the benefit generated by the forecast. This paper explores and validates this idea with a model-based analysis. The western US relies heavily on irrigation water which is allocated following local water rights. We develop and test a novel model that explicitly integrates water rights into a conceptual hydrologic model to spatially allocate irrigation water. The model well captures the timing and magnitude of irrigation water allocation in our study area and is applicable to semi-arid regions with similar water right regulations. The results could inform future water policies and management decisions. In the current study, we have developed a method to obtain marginal cost curves (MCCs) for WF reduction in crop production. The method is innovative by employing a model that combines soil water balance accounting and a crop growth model and assessing costs and WF reduction for all combinations of irrigation techniques, irrigation strategies and mulching practices. While this approach has been used in the field of constructing MCCs for carbon footprint reduction, this has never been done before. We present a new catchment model that covers most major pollutants and is suitable for uncertainty analysis. The effects of climate change, population dynamics, socio-economic development, and management strategies on water quality are demonstrated in a small catchment in the Swiss Plateau. Models and data are still the largest sources of uncertainty for some water quality parameters. Uncertainty assessment helps to select robust management and focus research and monitoring efforts. 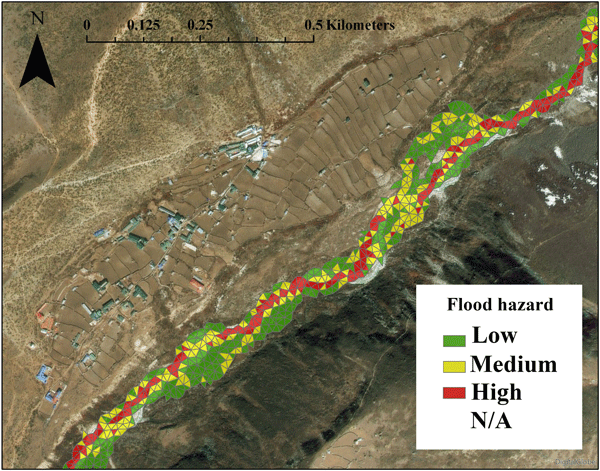 We propose a methodology to calibrate the bankfull channel depth and roughness parameters in a 2-D hydraulic model using an archive of medium-resolution SAR satellite-derived flood extent maps. We used an identifiability methodology to locate the parameters and suggest the SAR images which could be optimally used for model calibration. We found that SAR images acquired around the flood peak provide best calibration potential for the depth parameter, improving when SAR images are combined. Australian seasonal streamflow forecasts are issued by the Bureau of Meteorology with up to two weeks' delay. Timelier forecast release will enhance forecast value and enable sub-seasonal forecasting. The bureau's forecasting approach is modified to allow timelier forecast release, and changes in reliability and skill are quantified. The results are combined with insights into the forecast production process to recommend a more flexible forecasting system to better meet the needs of users. 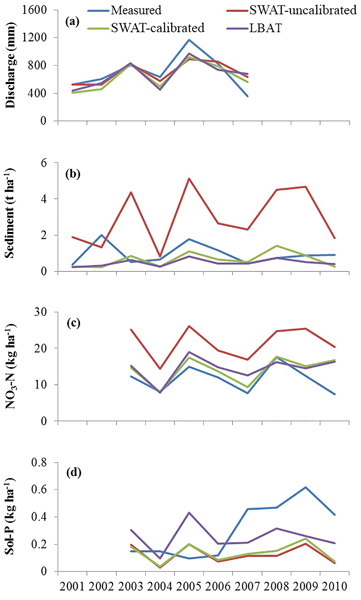 A comprehensive and detailed data set of the salinity distribution over an entire year in a complex and dynamic (because heavily utilized and modified) deltaic river system was thoroughly analysed, and formed the basis for a validated analytical model that can predict the extent of seawater among other salinity sources in an estuary. The procedure can be applied to other estuaries. In the field of cancer research, a scandal occurred at Duke University in the USA in which independent researchers were unable to repeat analysis performed by another group. This led to recommendations by the university and governing organizations to motivate the use of scripting languages to enhance repeatability of research. The hydrology community can easily adopt similar protocols to enhance the integrity of our data analysis and modeling. We assess the sustainability of planned water uses in complex mesoscale river basins by modeling water demand and availability under climatic and anthropogenic changes. We present an analysis through indicators that relate to water management goals. The impacts of climate projections on both water availability and demand question the water allocations and environmental constraints currently planned for the coming decades. This work brings an essential long-term perspective to water sharing plans.